As a native Northwesterner, I am well versed in the culture of rain. When the days of endless drizzle get to be too much, we imagine we have webbed feet, put on a raincoat, and try to pretend we don't mind. Often, when the moisture is heavy, I've heard people comment that it is, "a nice day for ducks." With this in mind, I had a fun afternoon last week painting some little web footed creatures. This is one of my favorites. I placed this fellow on a sunny bank, gave him a shadow, and tried to imagine a little warm weather. In my world, it was definitely a nice day for ducks. 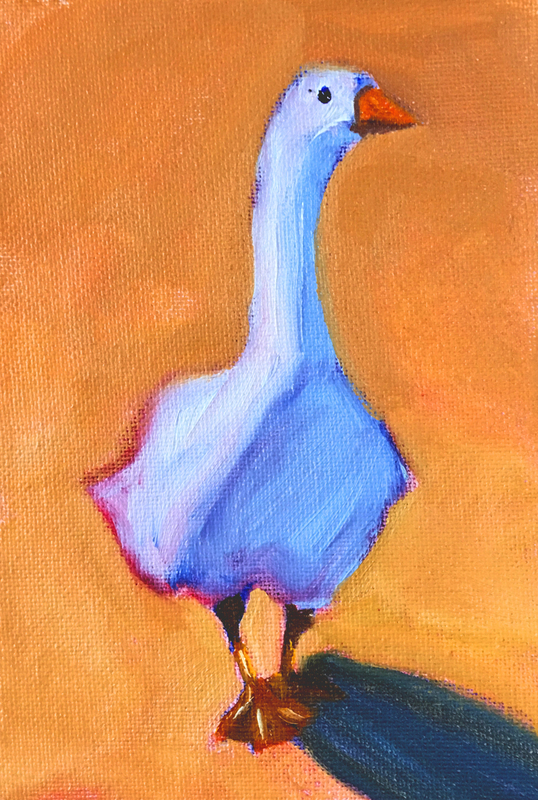 The little painting was created with oil paints on a small 4x6 canvas panel. He's for sale in my Etsy Shop where I will be listing the rest of his friends as soon as the paint is dry.